Photo: Spider sits in web. Funnel-web spiders are predators that build webs around their burrows. 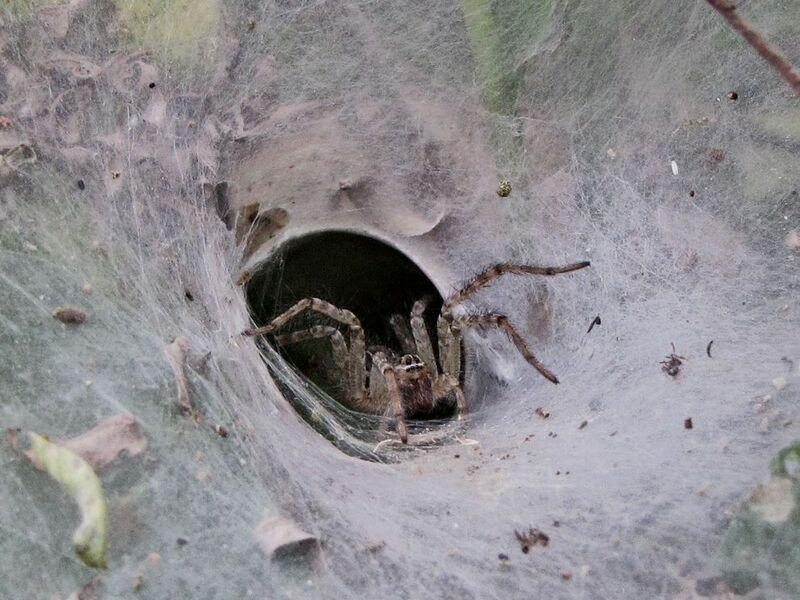 The hidden, funnel-shaped burrow is a shelter for the spider, as well as somewhere it can hide while unsuspecting insects land in the sheet-like web that protrudes from it. When prey is caught on the sticky web, the spider emerges from its den to poison and wrap the insect in more webbing. Funnel-web spiders typically bring prey back to the burrow to eat.